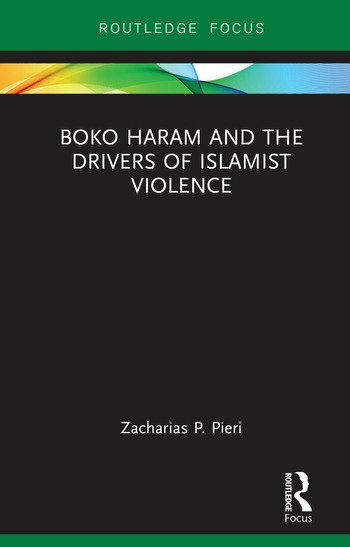 This book analyses the factors that drive Boko Haram’s violence, arguing that the movement is rooted in the historical and religious context of West Africa. The data presented is based on extensive research, including fieldwork in Nigeria, primary source analysis, archival work, and large-scale survey analyses. Each chapter deals with a different case-study that showcases a driver of Boko Haram’s violence, including how the jihad of Usman dan Fodio is used as a source of contemporary inspiration to Boko Haram; how the extrajudicial killing of its then leader Mohammad Yusuf spurred the group to violence; why the kidnapping of the Chibok schoolgirls was motivated by both ideology and strategy; how the formation of a caliphate and pledging of allegiance to ISIS gave Boko Haram an amplified presence; and how the issue of takfir led to the fracturing of the movement. To succeed in the fight against Boko Haram, this book argues, the Nigerian state needs to couple military advances with deep social changes, such as combatting corruption, reforming the police, and investing equitably across the country. This book will be of much interest to students of terrorism and political violence, African politics, war and conflict studies, and security studies in general. 4. "Western Education is Forbidden"
Zacharias P. Pieri is a political sociologist at the University of South Florida, USA.